2019's EGX Rezzed took place in London last week. Featuring over a hundred video games being previewed from a variety of different developers – big and small – I scouted around for the most impressive ones. Here are seven games I've selected that were most memorable. If you combined the openness of Hitman with the absurdity of Goat Simulator, you may find something akin to Untitled Goose Game. 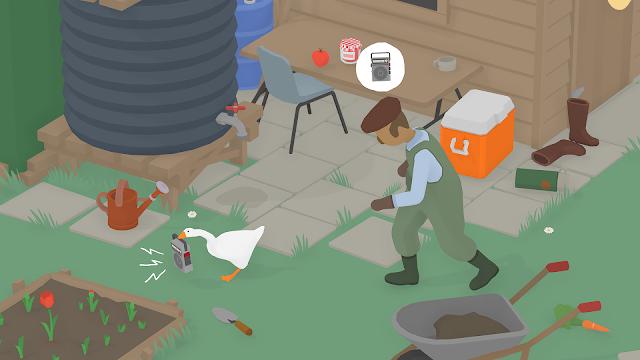 The short demo has you completing a series of tasks to annoy a groundskeeper. Over ten minutes, you'll do things such as stealing his keys, dragging his rake into a nearby lake, and turning on the sprinkler to get him wet. The way you approach these objectives is entirely up to you, with the level offering multiple ways for you to complete your objectives. A Nintendo PR rep told me I could get the groundskeeper wet by using the sprinkler, however I did it by getting him to chase me into the lake. It's silly fun, I think this will be a huge hit. El Hijo ("The Son" in Spanish) is a stealth game set in a land resembling the wild west as we know it from spaghetti westerns, complete with bandit gangs and rocky landscapes. After their home is razed to the ground, a farmer leaves her son, the titular El Hijo, at a secluded monastery to protect him. Deciding against her choice, you play as the young boy as he tries to escape the old monks and re-unite with his mother. 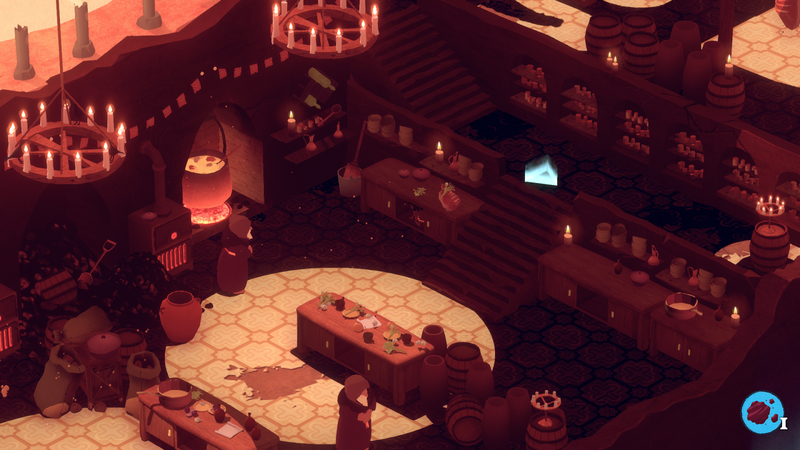 The game has all the integral components of the stealth genre; there are patrolling NPCs to be avoided, containers to hide in, environmental puzzles to solve, and ways to distract opponents. Besides this, there are also friendly characters that can aid El Hijo in his quest to find his mother. The graphical style uses a classic pop art approach, with much of the environment using variations of brown and beige colours that fit with its American west setting. Admittedly, there isn't a lot here that hasn't already been done in previous stealth titles, but the whole package has immense potential. As a big fan of these types games, I'm curious how the whole game will pan out. Set in an alternative hyper-capitalist society where public services have been replaced by venture capitalist private companies, Embr has you sign up to be an emergency firefighter with the aim of rescuing victims of house fires. 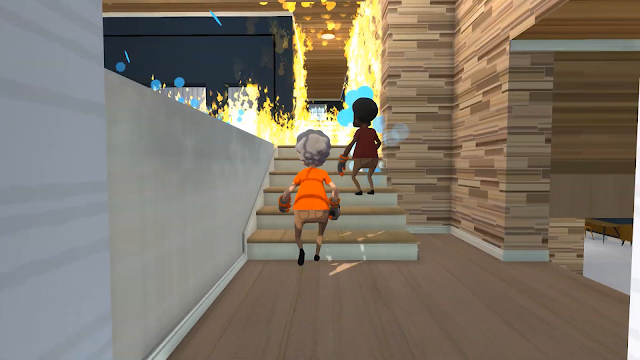 Each level in Embr has you rush into a burning building to help rescue the inhabitants. There are classes which affect what items you can use, bringing along expected firefighter equipment such as fire hoses, breaching axes and ladders. The game utilises ragdoll physics and floaty movement to add to the challenge of rescuing every character. It isn't designed to be a hard game, but definitely has you thinking on your toes as you strategise how to move through the house and efficiently complete the objectives. Being a private company, Embr also has optional tasks to find money to ensure the mission remains profitable. This poses a higher risk, but offers a greater reward. The first Cat Quest was an absolute delight to play, I even put it in my Game of the Year list. There's just something about a feline warrior running around a pun-ridden fantasy world that speaks volumes to me. Cat Quest II builds upon all the best parts of the original. There's an overworld to explore, enemies to fight and dungeons to clear. Sounds familiar, right? Besides a different story, there are also some new features. Co-op is now possible, with a second player jumping in to take on the role of a dog. This makes up for the added difficulty of playing high-level areas by being able to bring in a friend to help you. If you die, you'll have a time-out and be able to re-join the fight after a certain amount of time. There are also new spells, abilities and weapons to use, making this game a purr-fect follow-up to the original. This one is a weird amalgamation of various pieces of media. The Breakfast Club is like someone played I Am Bread, made it co-operative and then added in the stress of a running timer as in Overcooked. An additional sprinkling of '80s movies references is then added. 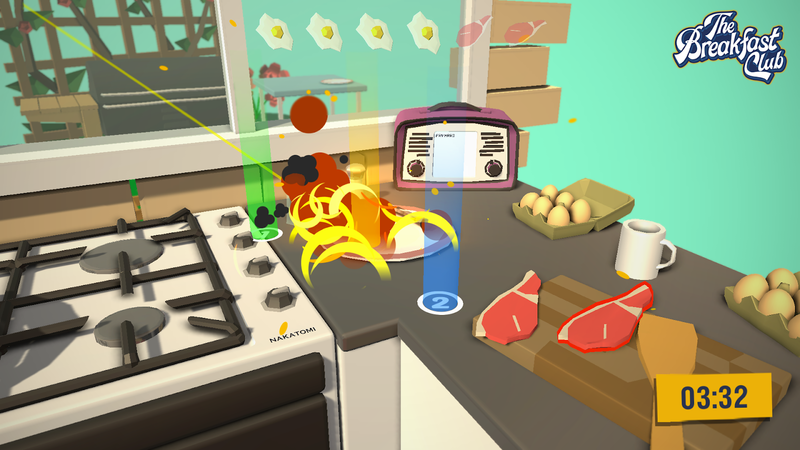 Played with up to four players, take control of various food ingredients, condiments and utensils as you each co-operate in physics based puzzles to prepare food. It takes a little getting used to, particularly with trying to get into a rhythm together, but pulling off the perfect meal takes effort and can be extremely rewarding once you manage it. This will make an excellent party game. 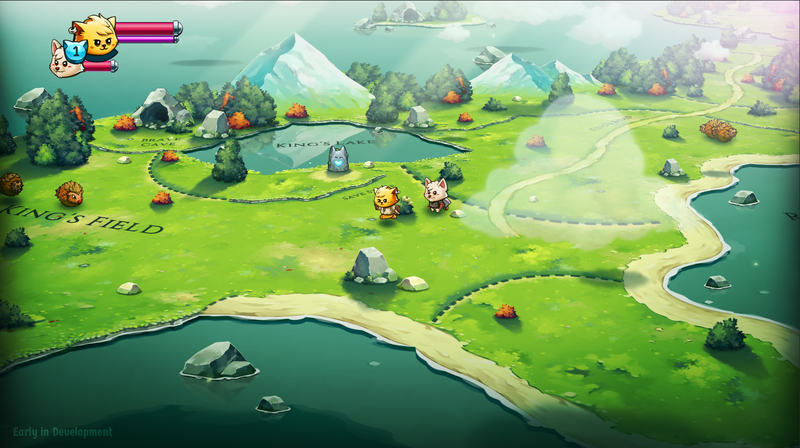 On the surface, Retrace may seem like just another RPG Maker title to flood the market. It has potential to be more than that. Creator Els White describes it as inspired by games such as Corpse Party and Yume Nikki. The story follows Freya and her friends as they are whisked away into an otherworldly dimension that wants to harm them at any opportunity it gets. There's an interesting mechanic where you can switch between different dimensions and return later, effectively playing through multiple storylines simultaneously. If you're stuck in one area, switch to another and come back later when the solution may have presented itself. If the game can fully commit to this vision, it'll make for a very interesting play. Mable is a young girl with an extraordinary power: she can take on the form of the creatures she kills. Creator Andrew Stewart calls Mable & The Wood a metroidvania without a lot of the typical quirks of that genre. 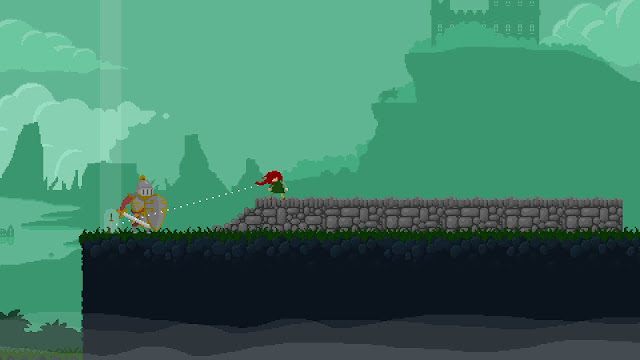 Despite her special ability, Mable cannot run or jump; she drags her sword along the ground with her and is visibly weak when fighting enemies. When she transforms, that's where her true strength comes from. Other forms you can transform into include spider; where you can utilise a web-slinging ability to swing throughout the level, Medusa; that allows you to turn enemies to stone and use them as hopping platforms, and Mole; where you can burrow deep into the earth to get past barriers. A metroidvania that defies expectations of the genre is exciting, and with a Summer 2019 release date it's not far off. I can't wait to explore the woods for myself.